I’ve decided to join in with this year’s Knitting and Crochet Blog Week, which starts today, mainly because I want to find some new blogs, along with the wonderful ones that I already follow, that will be full of inspirational crochet yummyness! There is a different topic for each day and today (Monday) is “which of one of four houses chosen suits you and your crafting style best” (bit like the old Harry Potter!) as well as a bit about why you chose this style. So here goes – I hope you find my blog posts interesting as I’ve never taken part before! There is a short description of each house on eskimimimakes.com who is the organiser of Knitting and Crochet Blog Week – so more info there if you are interested. So anyway, I am definitely a Bee – Bees are busy and industrious, but can flit from one interesting project to the next as bright and shiny things capture their interest. That’s me. I can’t keep to one project at a time and always seem to be flitting from one thing to another – even one craft to another! Over the years I have trained to be an Upholsterer by going back to college for a year to do a City and Guilds qualification, as well as training and working as a seamstress making soft furnishings (which is what I do now, four days per week). In between all of that I have set up a craft company with a friend making various things to sell – not too successful on the web but great fun at lots of local craft fairs. 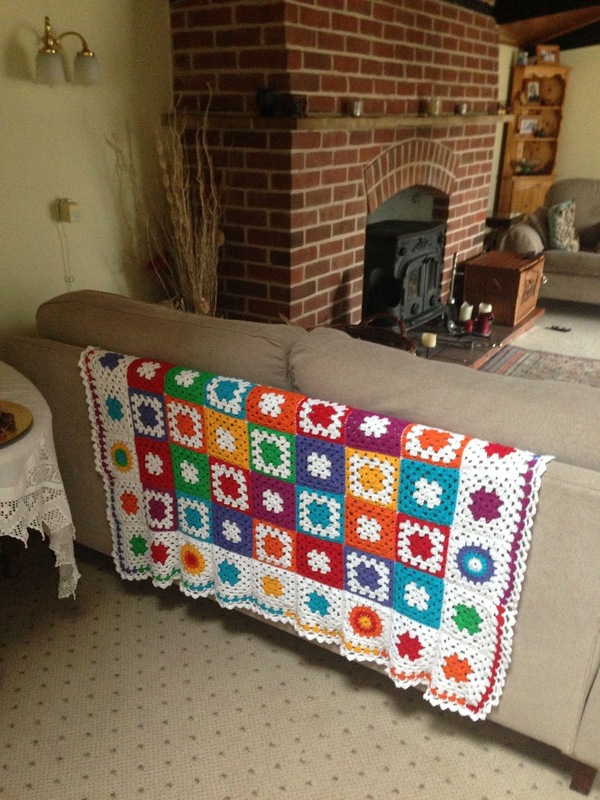 Sadly I do not have as much time now as I did, even though my two boys are growing up but I can’t bear doing nothing so took up crochet about 18 months ago – via a YouTube video – and haven’t looked back since. I crochet for me – sounds selfish but the pure pleasure I get from it is reward enough in itself. 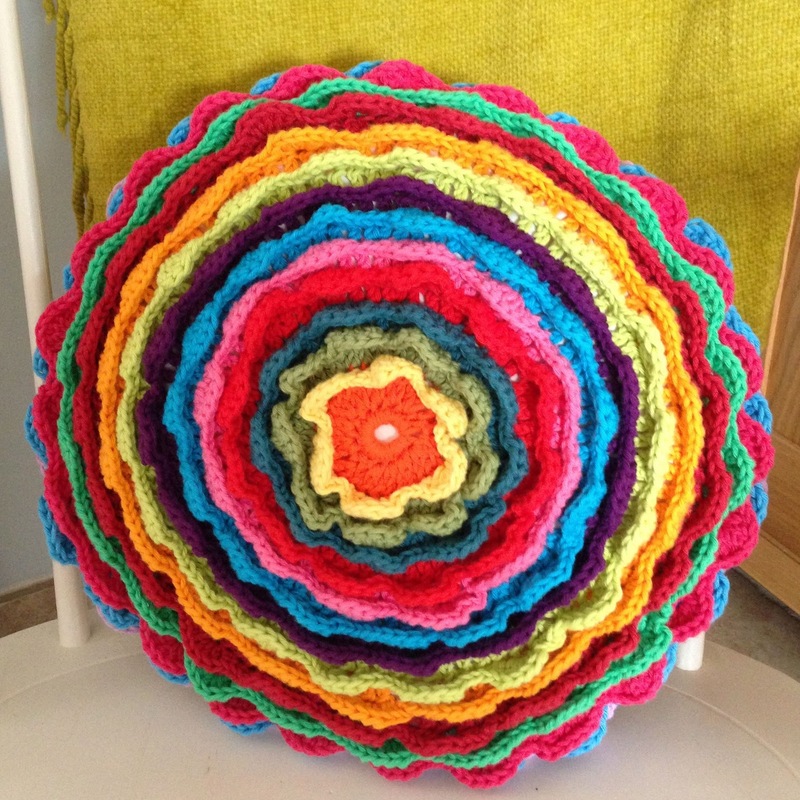 I’m not brilliant but learning all the time and my projects include a granny blanket and flower cushion – patterns both from other fantastic crocheters – see previous blog posts for links. So that’s me – all flitty but loving every minute and always on the look out for new techniques and ways of doing things. 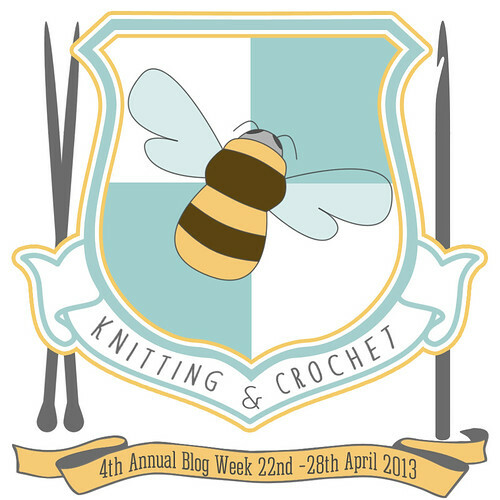 I am looking forward to reading other blogs this week so if you want to join in, here is today’s tag – 4KCBWDAY1.